This video has been making the rounds, and for good reason. Not only is its message one of importance, but it combines powerful poetry, beautiful imagery, and music to deliver a reflection on the long-term effects of bullying in its many forms. Continuing with my love of all things public radio, I tuned in last week to one of my favorite programs, This American Life. The episode was the first of two in which the TAL team visited Harper High School in Chicago, where last year 29 current and former students were involved in shootings. 29. Very early on in the radio program, the host, Ira Glass, makes a profound statement. Basically, he poses the question, if this had happened in a wealthier suburban school district and not in the South Side of Chicago, where Harper is located, would this not have received national media attention? Would there not be an outcry of horror and calls for change? College Board released their yearly report on Advanced Placement courses and test results. While, overall, scores are up slightly, there are still large gaps by race and ethnicity. Black and American-Indian students are still largely underrepresented amongst the whole population of students taking AP exams, and even more so amongst those students passing AP exams. I recently attended a national conference for educators focused on Lesbian, Gay, Bisexual, Transgender, Questioning, Intersex, and Allies (LGBTQIA) youth, put on by the Center for Excellence in School Counseling and Leadership (CESCaL). The conference brought together educators and leaders from all around the country who shared best-practices for working with LGBTQIA young people in schools, to include program development, standards and policies, advocacy, and ethics. Ever the planner and maximizer of my time (there may have been lists involved), I went to this conference with a very specific agenda--to gather information and see what others had down with regards to staff developments and policy for working with LGBTQIA students and families in schools. I was a man on a mission. In the first session I attended, put on by a speaker from Gender Spectrum, as a group we were discussing situations that other participants were experiencing in their own schools. One of the conference-goers brought forth a situation in which all of the best practices and policies were made known to school leadership, and they seemed to be sympathetic. However, the school leadership was not choosing to act. The presenter speculated that this might be because of several things, one of which was a "courage gap," meaning that there was a space between what the leadership knew and agreed was right to do and actually doing it, for fear of negative consequences and repercussions. 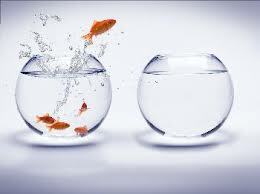 There was that one last leap that they simply could not take. 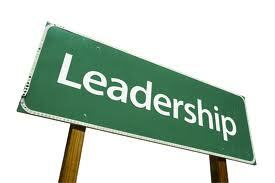 Leadership is one of the prongs of the ASCA National Model, and thus of our profession. As we develop comprehensive data-drive programs and become embedded within our school cultures, we have a real opportunity to help guide our schools to be more equitable for all students as well as create welcoming and inviting environments for everyone who walks through our doors. Yet, I often feel that this point of the model is often the most difficult and challenging for school counselors. We are a humble people, we school counselors. Inherent within most of us is a desire to keep the peace, to broker compromise, and to keep the seas smooth versus making waves. Our strong relationship-building skills allow us to do things like mediate between students, students and teachers, and help build consensus at committee meetings involving our school leadership. Many of us do not like to stand up in the crowd and go against the grain. However, part of our mission is to examine our schools and school systems as a whole, identify achievement gaps and areas of need, and then work to address these systemic issues. 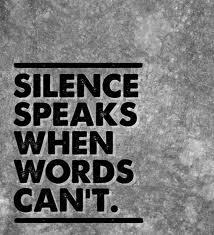 Sometimes, in order to do this, we must be willing to speak out and advocate on behalf of what is best for students and to leverage our reputations and relationships to bring about policies and practices that either level the playing field or create safe spaces. While I am no expert on leadership, I have learned through the years that we often mistake "managers" for "leaders." What is the difference? I believe it is this one piece, this final tip on the iceberg--courage. Many school counselors have a vision, espouse a long-term strategy, hold to a set of core-beliefs, and possess strong skills with regards to their practice. Additionally, they provide resources and even professional development to help bring others along and get everyone on the same page. However, this is only the beginning. You have a choice to make at this point--either you maintain the status-quo and "manage" what you already have in place day-to-day, year-to-year, or you begin to advocate for what your professional practice and data tell you is best for kids. 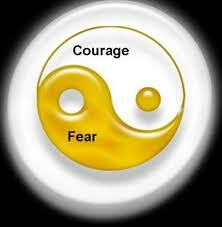 Courage and fear are yin-and-yang to each other--we cannot have one without the other. To lead others through change is not for the faint of heart--it can have moments of great challenge, and can even involve risk to our professional and personal relationships, as well as our positions. Yet, unless we are willing to truly serve as "leaders" versus "managers," we cannot ever really be the agents of change and advocates that our students and families need us to be. This is no more real than in the school district of Anoka-Hennapin, which has received a great deal of attention in recent years do to a number of suicides of students who were bullied for their real or perceived LGBT orientation. One of the middle school theater teachers, Jefferson Fietek, put his own job on the line in order speak up for policy change with regards to supporting LGBT students in the school district. As I went from session to session at the CESCaL conference, I heard stories of other teachers, administrators, and school counselors who were putting themselves and their jobs in jeopardy every day by advocating for Gay-Straight Alliances within their schools or for policy changes that would make their buildings safer and more inclusive for LGBT students. They possessed skills, the knowledge, and the resources to lead, but they also demonstrated their courage. We can apply this to multiple situations in different schools around the country. For example, because we have the pulse of the school, and because we are the connection between so many different stakeholders, as school counselors, we know first-hand what is happening in schools like Harper or in Prince George's County, MD. We have opportunities to shine lights on what is happening with regards to young people dying in violent ways in order to garner support at higher levels to address this epidemic, to speak out until someone listens. Additionally, we are trained in how to address conflict resolution, and can work with students, starting in the elementary schools, on building positive coping skills. We can advocate for more resources with regards to social/emotional and grief supports. We can help to build community between students, parents, neighbors, and law enforcement to try to develop webs of support both within and outside of the schools. A colleague of mine on Twitter was asking what we could do about the inequalities that still exist in the Advanced Placement program around the country. My answer: School Counselors. Why? Because we are positioned to lead. We are the ones who academically advise our students, who help them map out the courses that they need to reach their post-secondary goals, and who encourage them and support them when they are taking rigorous and challenging courses. We are the ones who can put our hands on course data, grades, and test scores, and identify areas of need and then advocate for support programs or changes in enrollment policies with teachers and administration to help encourage more minority students to take AP courses. It is not enough for us to simply recognize these achievement gaps, we must also act to address them. I am in no way implying we do all of these things alone--systemic change does not occur in a vacuum. However, it may often be up to us to both determine where inequalities exist and then, using our relationship-building skills, lead others in addressing them. Last year, I wrote about our responsibility as advocates and posed the question, "Who do you advocate for?" This year, as I was working with a group of counseling interns last week on preparing for their upcoming interviews with school districts and schools, I said to them, "School counseling is not a career for everyone. It takes a special kind of person to do so much of the work that we do everyday." And so, I ask you, do you possess the courage to lead? I feel that Jeff Ream, Erin Mason, and Danielle Schultz would be proud. I have officially taken the plunge. 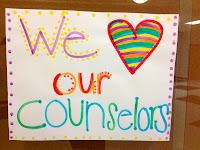 From the Counselor's Office now has its own domain name, www.counselorsoffice.org. After a year-and-a-half and almost 100 posts, it seems only fair to make this level of commitment, not to mention teach myself how to acquire the new name and link it to the blog. No worries--the old web address of counselorsoffice.blogspot.com will automatically forward you to the new one, and all links to former posts are still active. My hope is that this makes the blog easier to remember, search for, and find in the future. 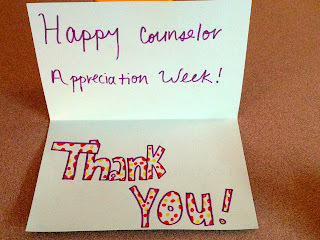 I work with new school counselors in my district, and last night was our monthly class. One of the topics we covered was self-care, something I have previously written about. It's February, and this can be an overwhelming time of year. Semester grades have recently been posted, causing both joy but also angst and frustration. It's dark and cold, and mental-health issues can begin to pop up with more frequency on our case-loads. Further, college acceptances are beginning to trickle in, application deadlines are wrapping up, and the anxiety over financial aid and scholarships has begun. Academic advising season is upon us, and kids and parents are wondering what classes to take for next year that will help them meet post-secondary goals. For many of our students and families, things are occurring that may be beyond their control, and they look to us to help steady and reassure them. It is in these times that it is most important to check in with ourselves and our lives to make sure that we taking care of our most important client: ourselves. 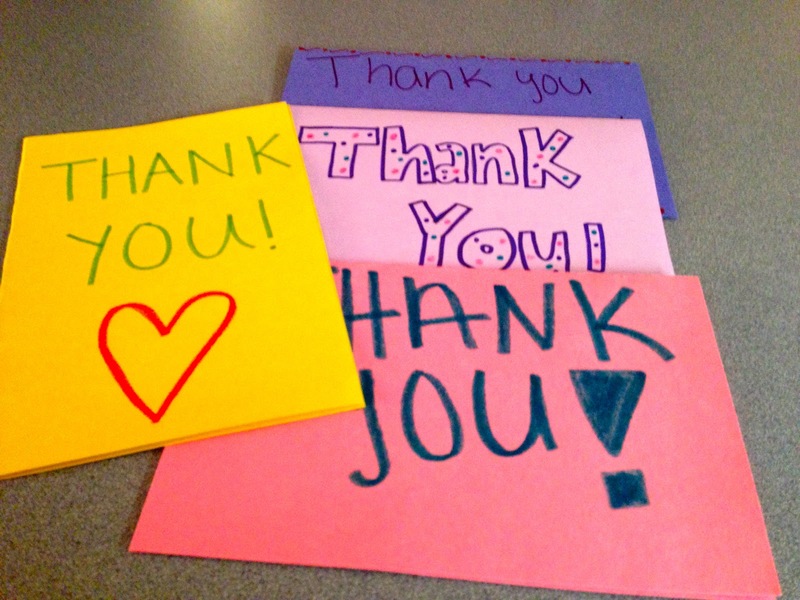 I hope that students and staff have taken time this week to thank you for all that you do. 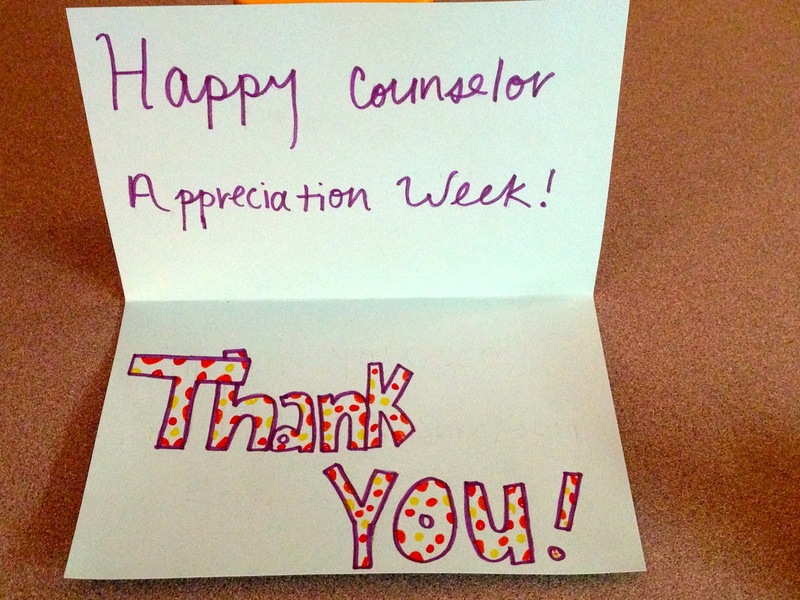 Ideally, you have also been able to share with your communities our role, preparation, and the impact that school counselors are able to have on students. This weekend, have your own personal celebration by finding time to engage with your families and friends, get some exercise, grab a massage, or just veg on the couch with some excellent bad-television. Recharge--it's the most important gift you can give to yourself. 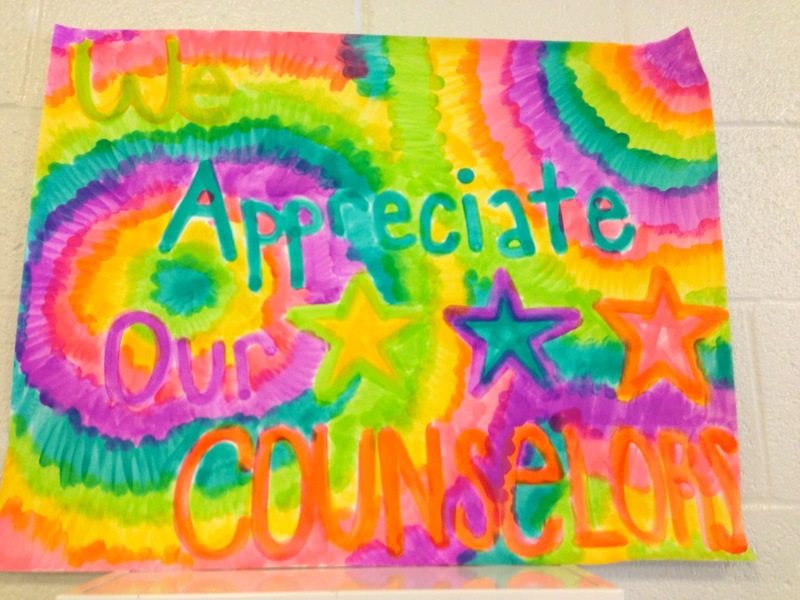 As we draw into the final day of National School Counseling Week, my hope is that you have been offered moments of thanks from your own students. We have become a data-driven, focused profession that measures our impact through student outcomes, but it is nice to receive those warm-fuzzies from time to time...as well as some cake. This whole week, students create posters, decorate our offices, bake sugary treats, design watercolor cards with poems, and bring us small tokens of their appreciation, such as these flowers, to celebrate National School Counseling Week. I often think about the fact that there are so many negative news stories and perceptions out there of youth. It concerns me, because this is not what I see every day in my work. I am privileged to see young people do positive things on a daily basis. Some are large, like our Student Government Association partnering with us to implement a week-long anti-bullying campaign. Some are small, such as the other day when a student of mine was kind enough to give a new student a tour of the school to make him feel welcome. More often than not, though, in moments that really count, I see kids taking care of each other, being compassionate, overcoming obstacles, thinking through deep life questions, and engaging with the world in a positive manner. 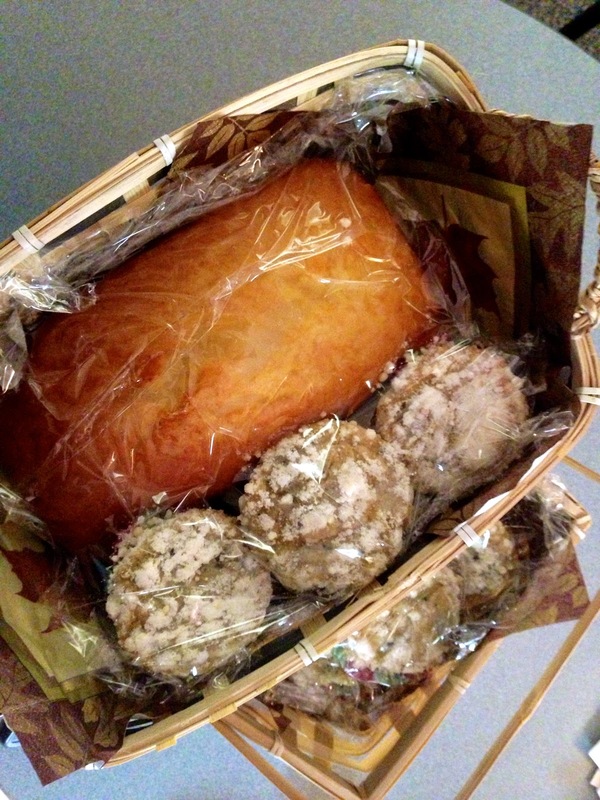 Dear readers, if I could conceivably share these muffins, coffee-cake, and lemon-bread that a student of mine baked for me to celebrate National School Counseling Week, I would. 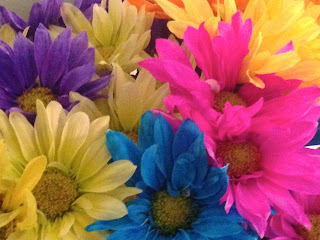 My hope is that you can smell them through the computer/tablet/phone screen. In my post yesterday, I included some photos of the decorations outside and inside of my office. 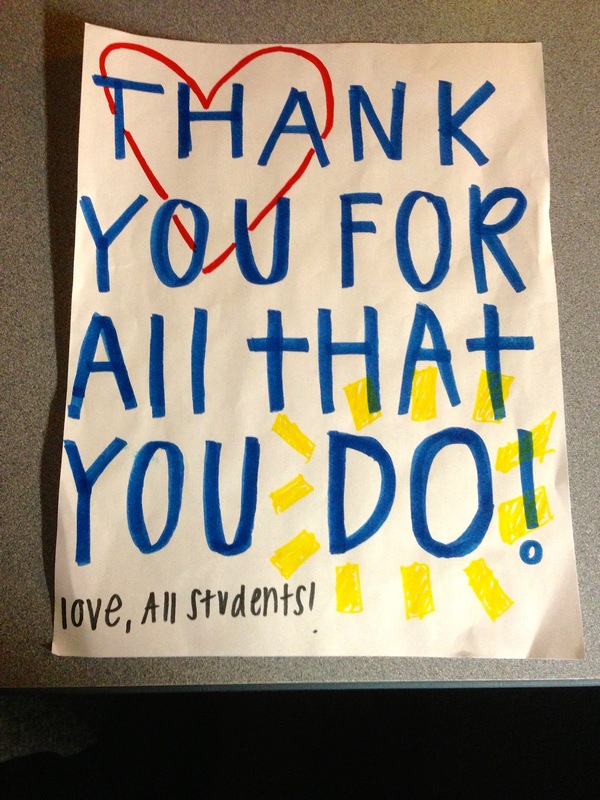 The students, families, administration, and staff at my school treat us extremely well, not only during this particular week, but all year long. In response to that post, Marty Stevens over at This Counselor's Journey responded on Twitter that I must be "filled with humility." Indeed, I am. 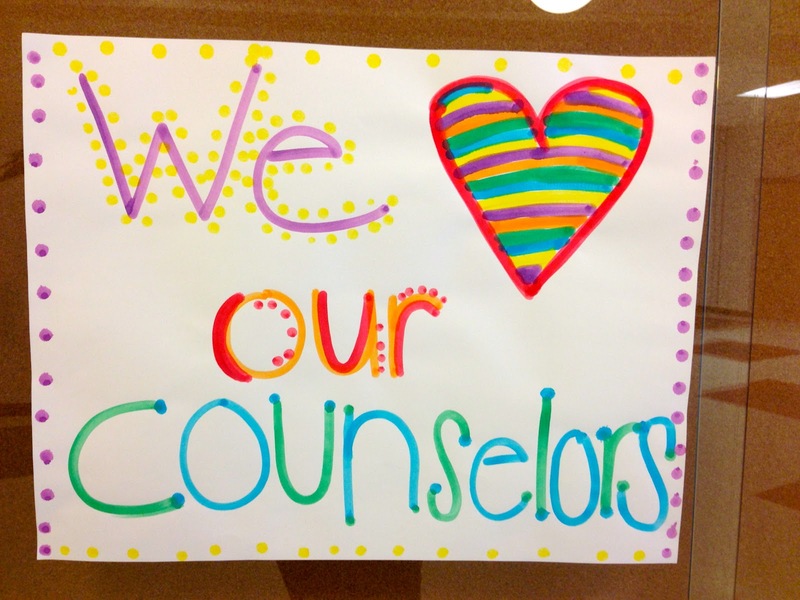 To be a school counselor is to dedicate yourself to a life of service. We give of ourselves on a daily basis through our time and through our emotional energy. We provide what so many people in this non-stop, on-the-go world are looking for--someone to simply listen and acknowledge their thoughts and feelings. We are constantly giving of ourselves to our students, their families, the school community, and to the community-at-large. Not everyone can do this work. So often when we talk about our careers in education with others the response is, "I could never do that." 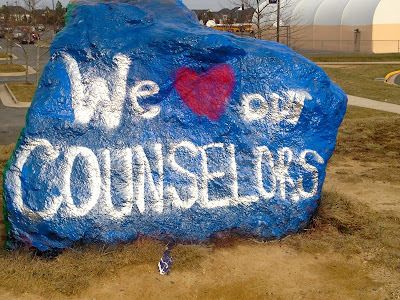 Yet, fellow school counselors, we can. Somewhere, we are hard-wired to advocate for those who need extra help, to provide an ear when no one else will seem to listen, and to believe in the ability of kids to succeed even if the faith of others has faltered. This mission to lend aid, to better humanity, to level the playing field, to bring joy and comfort and hope is what drives me to walk that free-reduced lunch paperwork down to the cafeteria directly versus having the student put it in the mail because I know it will go through faster. It is why I attend that IEP meeting to lend my voice to a student who needs more services. It is why I find peer-tutoring for a first-generation college-bound student so that they can have the support they need to be academically successful and meet that dream of attending a university. I am humbled every day by my job, and I work very hard not to forget the place of privilege that I possess in our culture. I will never be a millionaire, but I have had the emotional and financial support of a loving family, vast educational and artistic experiences, and professional opportunities that have never left me wondering where my next meal will come from, where I will sleep at night, whether anyone in this world loves me, and whether I will be able to achieve my dreams. My hope, and the hope of school counselors everywhere, is that through our efforts we can help others find the same security, sense of belonging, and wings for their dreams. 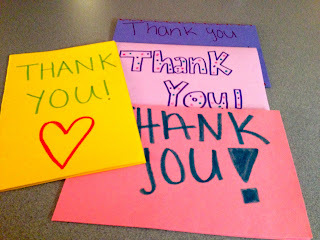 It is wonderful to be appreciated! 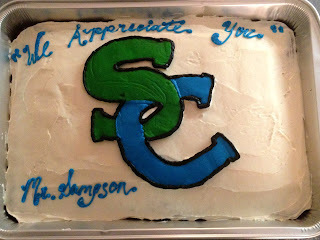 School counselors, we work hard. Okay, we work really hard. Somedays, we work until we just about fall over. This week is for us to celebrate all that we do that has an impact upon our students' academic and personal well-being. However, it is also a week to help educate our stakeholders in our schools, our school systems, and our communities about what our training has taught us to do and the role that we have in schools. If we do not, we run the risk of having others define our role for us. In other words, when we go out to buy a house, we have a price-range that we look in. We may look a wee-bit outside the price range on occasion, but typically we are not going to look at homes that we know we could never afford no matter what. Well, unless we just like looking at other people's houses, but that's another story altogether. Should college be any different? Should we advise students and families to only look at colleges or universities within their pre-determined price range? This is confusing because, as I've written about before, there is often a wide difference between the "sticker-price" for a college, meaning the published full-cost of a school if the student receives no aid whatsoever, and the "net-price" of a college, meaning what a student pays after scholarships, grants, work-study, and, debatably, student loans. Most students, especially at private colleges and universities, do not pay the full sticker-price. It reminds me of airline tickets, in that very rarely do most people on a plane pay the same price for their ticket. College can often be very similar, with no two students often paying exactly the same price to attend. College "sticker-prices" for tuition and fees may play a prohibitive role in the college choice for families whose net-price may, in fact, be manageable. Even if there are only modest differences in the probability of degree completion between different categories of institutions, time-to-degree can still vary dramatically, which is an important consideration in a student’s college choice. Recommendation: Refine institutional reporting requirements so that students have better access to institution-specific completion rate data for students like themselves. Recommendation: Additional quantitative and qualitative research on the impact of net price calculators on student decision making. Thus, here it says that students need to be wary of sticker-prices as they are shopping for colleges, as the net-price is so often different in the end. Further, at schools that are more selective (defined in the full report as schools with higher average SAT's scores in their admitted classes) there also tend to be higher rates of graduation within 4-6 years. Therefore, the report argues that students may be better off in the long-run if they pay a bit more for their education at a school where they are statistically more likely to finish their degree within a standard amount of time. Throw into the mix the continued rising costs of public-universities and the lack of standardization and faith in net-price calculators and it can be difficult for school counselors to determine how best to advise students and families to approach the financial aspects of the college search, application, and decision process. Students need two lists. For admissions, we often discuss the need for reach schools, mid-range schools, and "safety" schools, based on a student's academic criteria (classes, grades, standardized test scores.) Additionally, families should take that same list of schools and chart it with cost as the main factor versus admissions criteria. If none of the schools on their "financial" list fall into the "safety" category, then it may be time to go back and search for an additional school or two that might fit the bill. Again, this is just a starting off point to insure that a student will have a variety of options by the time they are making decisions in the spring. Use net-price calculators...with caution. If students have done the step above and have diverse lists of schools, then head to the net-price calculators, but realize that the word on the street is that there are still kinks to work out. However, this will give students an idea of what general ball-park "net-price" they might be looking at with some of the schools on their list. 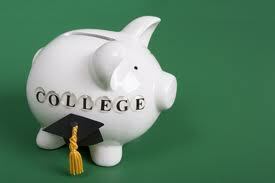 They should also look at additional financial-aid statistics, such as can be found at Big Future from College Board. Consider private schools. The sticker-price can be scary, yes. I realize this. However, if you get into the statistics of private schools, most of the students pay less than this, and many pay a lot less. When I was applying to colleges, there were two private schools at the top of my list. There was no way my family could afford the sticker-price of those schools. As such, my parents made me a deal. I could apply to those schools, but I also had to apply to at least one state-school that still met most of my admissions needs with regards to size, program reputation, etc. We would see what financial-aid offers came, and then decide. Thus, I had options come the spring. Again, by making a "financial" list with reach, mid-range, and safety categories, you should be giving yourself choices before making that final decision. Look at graduation rates. This is key. I believe what the College Board brief is telling us is that it may be worth going to a slightly more expensive school if that school has a higher rate of graduating students in four to six years. Why is this important? 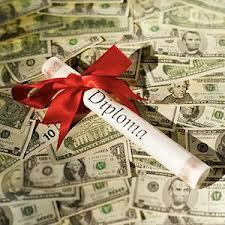 First, with a degree, your earnings potential is higher. You need to actually finish said degree, though. Secondly, the less time you are in school, the less money you are paying or going into debt over. If a four-year private school costs $4,000 more a year but has a four-year graduation rate of 80%, it may be worth it in the long run versus going to the less expensive school with a four-year graduation rate of 50%. If nothing else, it is worth considering. Click here for graduation rates by state and then by school. Don't just go K-16, but K-17 and beyond. As I alluded to before, if you have a student who is convinced they are going to be going to law school someday, or that they are going to go into a field where a graduate degree is a must, it is important to include this possible post-college education as a part of the conversation. Medical school is expensive. So is law school. Students and families should consider this when deciding on an undergraduate institution. It may not be worth going into $75,000 worth of debt for college when you are going to then go into $150,000 of debt for law school. Cost should not be the only consideration as students are determining where to apply. However, I think that it has become a strong factor as students make decisions about where they will ultimately enroll. As school counselors, we can help our students and families make informed decisions about the possible costs of various choices, both public and private. We can supply them with some of the tools and information sources as I've discussed above. Further, we can help them to look-long term and holistically at their lives so that they can put the financial burdens of post-secondary education into context as it may pertain specifically to them and their situation. It's not just about getting into college anymore, it's also about paying for it.